Hopefully all of your questions can be answered here! The length of time it takes for the application of the extensions will vary. Each person will want a different hair style, and because of this, it’s hard to say exactly how long it will take. It really depends on the number of strands that will be applied. 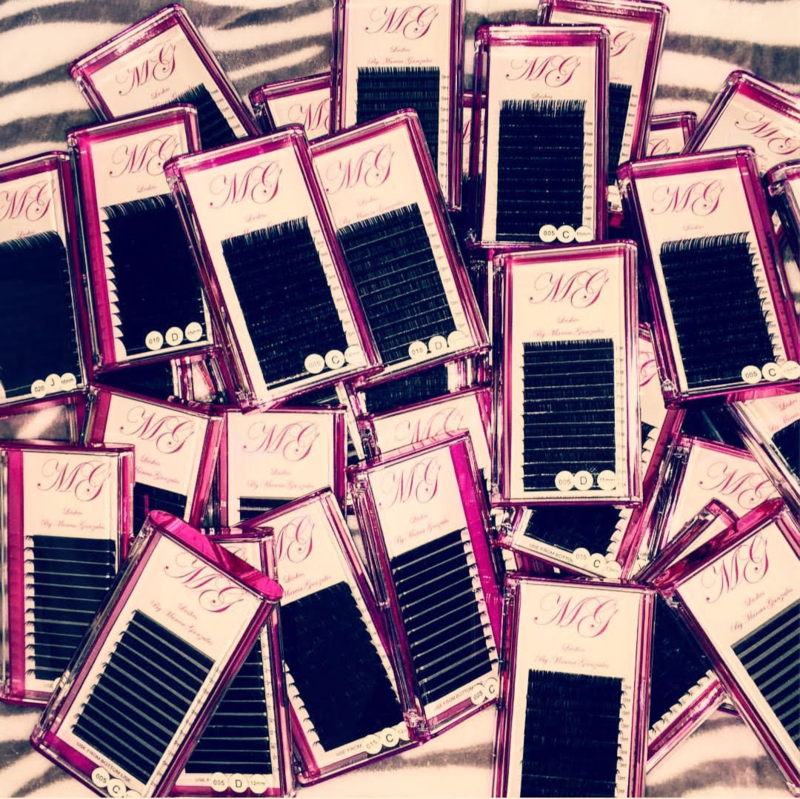 With the selector process, which is what is used here at MG’s Salon and Lash Studio, one can expect a time frame of about one and a half hours for the extensions to be applied. Also, it’s important to remember this timeframe does not include the time for any washing, drying, cutting, or styling. This timeframe is simply for the application of the hair extensions. Do I have to wait for hair extensions? A consultation is recommended the stylist to discuss exactly what style you’re trying to achieve with the Hairdreams Extensions. After the consultation, you will choose the hair color you would like, and also the length of hair you would like. Your extensions would then be ordered and can be received within 24 hours, and another appointment would be scheduled for the application of your extensions. How much do Hairdreams Extensions cost? The prices will vary per customer. First of all, it’s important for you to know what hair style you are trying to achieve, and also what your hair is like at the present time. Your stylist can then decide how many strands of extensions that you will be needed, what length these extensions will need to be, what structure and what hair quality (5 Star or 7 Star Special) is going to be used. Also, the price for the application and any additional services like washing, cutting, and coloring are determine by your stylist. Will these extensions be visible? Do they look natural? Hairdreams Extensions look completely natural. Your stylist will match the hair to its exact structure and color. Your stylist will ensure the correct placement of each strand to give your hair a natural look. The hairdreams bonding is very small and hardly noticeable, and this also makes for a comfortable feel. Each bonding is about 5-6mm in length, and have different widths according to the strand size. How are the Hair Extensions removed? There is a special solution that your stylist will use called Hairdreams Removal Solution. This solution is made specifically for Hairdreams strands and will allow the strands to removed very gently, with no damage to your own hair. This solution is applied to each bonding, and will essentially break up the bonding on your hair. It softens the bonding very quickly, and the extensions will slide right off. As stated before there is no damage done to your own hair, and there is no damage done to the hair extensions. A Tidy-up cut is recommended every four to six weeks to ensure that that the removal process is quick and easy. A cut is also recommended to remove any of your natural hair that has been shed and is stuck in the bonding, which will also help avoid any matting. The length of time that Hairdreams Hair can be work will depend on your individual hair grown, the volume and structure of your own hair, and also the hairstyle you choose to have. The bonding will slowly grow away from the original placing near the scalp, and they will be more visible after about 4-6 months. 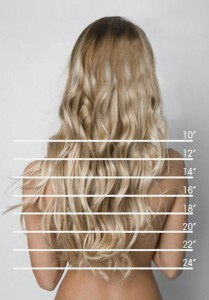 Should your extensions reach this length of time where you can see the bonding, it’s suggested that they be removed. Keep in mind that if you choose the Special Hair Quality you can re-use the hair. A service will be done to the hair extensions called “re-bonding”, and will allow for the hair to be worn for a period of up to one and a half years. **This re-bonding is only available for the Hairdreams Special Quality Hair. Due to the secure bondings that are used for each strand of Hairdreams, and because of the quality of hair that is used, there are NO limitations to your lifestyle while wearing Hairdreams. Are these Hair Extensions hard to take care of? Hairdreams Extensions are to be cared for as if it were your own hair. There is a special Hair Care Line that has been formulated specifically for Hairdreams Hair Extensions. This formula provide the extensions with the conditioning it needs. 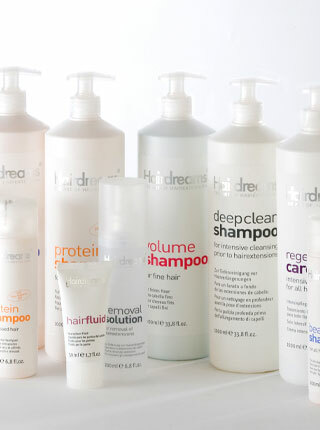 Using these products will help maintain the Hairdreams Hair’s deep color, elasticity, and vibrant shine. Your stylist will go over the best combination of hair products for your type of hair. With Hairdreams Hair you can use your flat iron, blow dryer, and curling iron as usual. The same is also trust for other processes like color and perms. Keep in mind that coloring the hair can change the surface of the hair, stressing the strands. Because of this, it is best to let your stylist perform these services in order to get the most out of your extensions. We recommend brushing your hair several times a day from the roots to the ends using the special Hairdreams Brush to prevent any tangles. When blow-drying your extensions be sure to keep the dryer at a distance of at least 8 inches as the extreme heat can dry out or damage your Hairdreams Hair. Do I have to meet certain requirements in order to get Hair Extensions? Full hair with a minimum length of 3-4 inches is enough for the bonding’s to be invisible and for the Hairdreams Hair to blend naturally into your own hair. Can I get Hair Extensions with heavy hair loss? Often times heavy hair loss is caused by hormonal imbalances and medication. The hair loss has to be stopped before Hairdreams strands may be applied. Without the hair loss being stopped, there cannot be a guarantee the hold of the strands.